When you’re looking for new ways to decorate your home for Christmas while saving money at the same time, why not DIY? DIY Christmas decor is extremely popular, easy to make, and with all the new and innovative ideas available, you can make your home as unique as you want. There are ways to dress up your mantels, your dining room table, your stairway, and your nightstands. 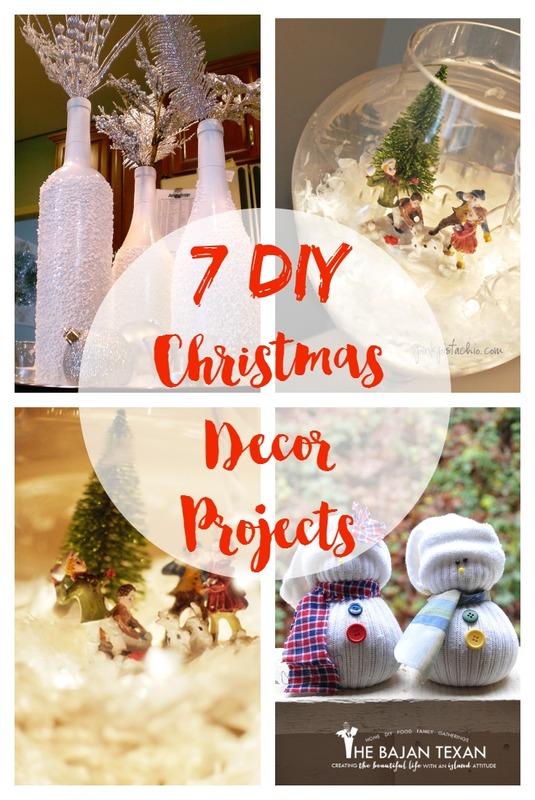 Check out these 7 magical DIY Christmas Decorations to inspire your Christmas DIY spirit and bring some holiday cheer to your home. 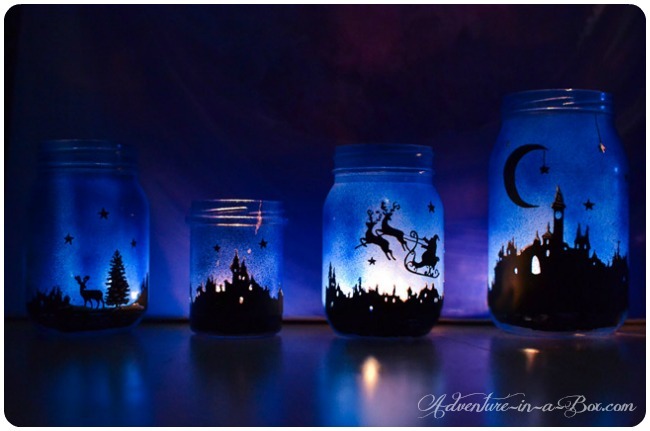 The creative minds over at Adventure in a Box have come up with a truly magical way to turn mason jars and canning jars into stunning holiday lanterns. Use these lanterns to line your steps, place them on your mantel, or turn them into a Christmas centerpiece for your dining room table. You’ll love illuminating your home with these amazing Christmas lanterns. Cinnamon stick candles were a popular DIY project for fall and Thanksgiving and now you can turn them into gorgeous DIY Christmas decorations too. 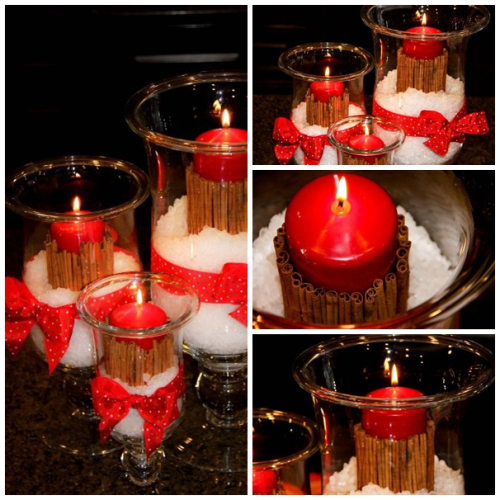 Use red candles and red ribbon instead of pumpkin-scented candles and burlap to give them a Christmas look. Balanced Grettie is responsible for introducing us to this amazing display of Christmas cinnamon stick candles. So simple but so festive. If you’re looking for an adorable, fun DIY project you can make with your kids, look no further. 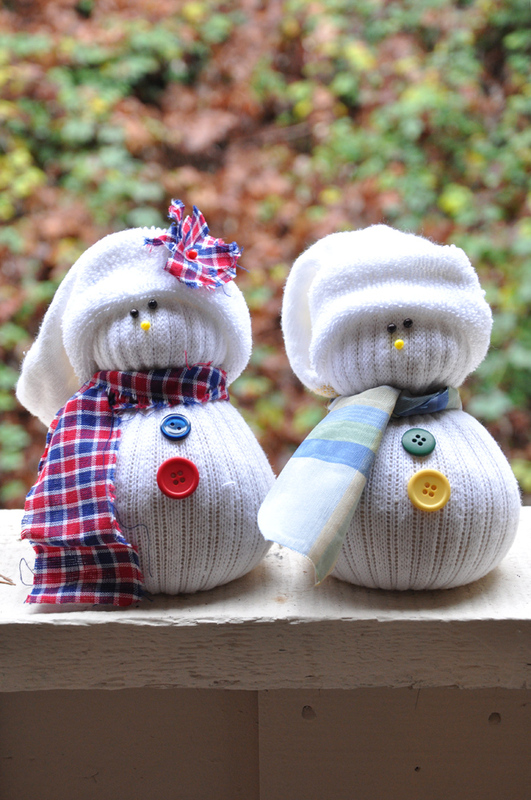 These super cute sock snowmen by Darkroom and Dearly are the ultimate way to reuse some old socks by turning them into incredibly clever Christmas decor. Dreaming of a white Christmas? 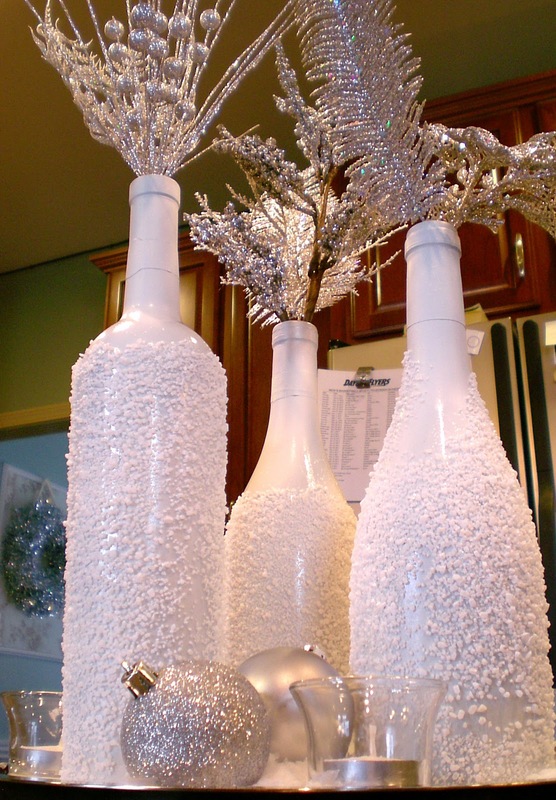 Make your own white Christmas with these incredible snowy wine bottle vases by Cleverly Inspired. Using only empty wine bottles (or olive oil bottles if you don’t drink), some white spray paint and some epsom salt, you can make your own snowy white DIY Christmas decorations. Won’t they look festive on your mantel or dining room table? If traditional snowglobes are too small for you, or if you have some nice apothecary jars laying around, try these snow globe terrariums. With fake snow, faerie lights, and miniature villages, you can turn your home into a winter wonderland. 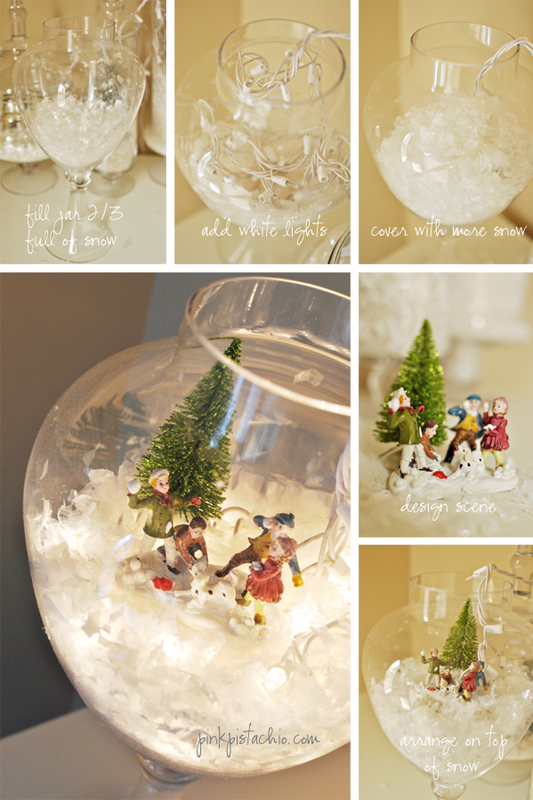 This creative Christmas decor is from the snow-globe-loving mind of Pink Pistachio. 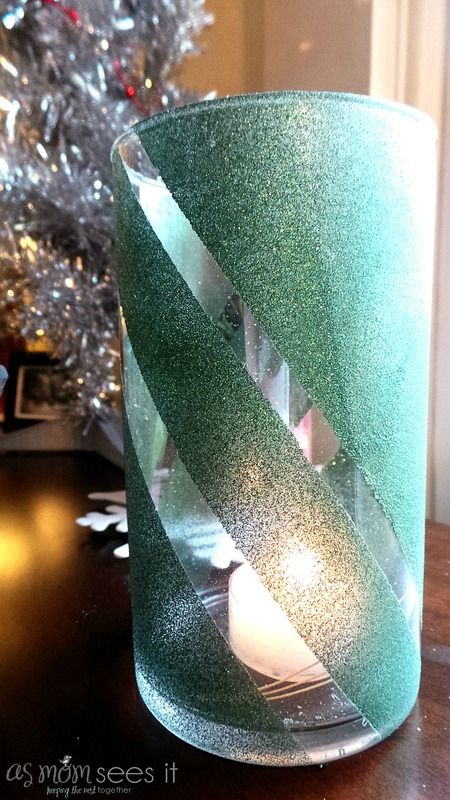 For a super simple way to bring some glittery Christmas cheer to your home, make these easy DIY glitter vases. As Mom Sees It is to thank for this delightful way to decorate your home. For added Christmas spirit, use multiple vases and spray half with green glitter spray and the other half with red glitter spray. Fill them with ornaments, candles, or poinsettias. Have you ever wanted to make your own snow globe? What about one that lights up? You can thank the wonderful Bitz & Giggles for this magical DIY project. Use a favorite ornament to make it personal and to protect the ornament. 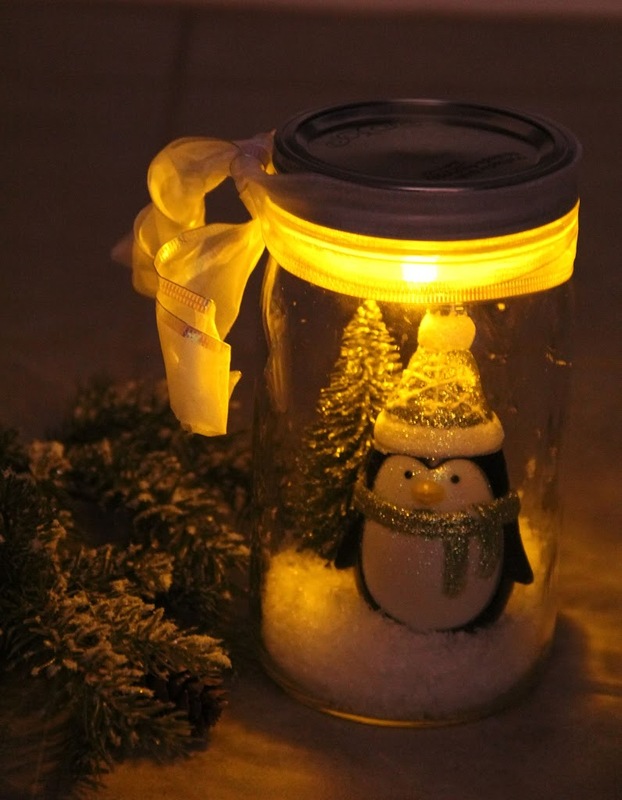 It’s cute, festive, and makes a great night light or homemade Christmas gift.